Secretary of Defense Jim Mattis believes that years of budget uncertainty have left the U.S. military in such a precarious position that if it is not solved soon, it will represent an existential threat to American security. Secretaries of defense complaining about budget uncertainty is a time-honored tradition, especially since the enactment of the Budget Control Act in 2011. But Mattis’ comments, made during a keynote at the annual Air Force Association conference, may be the most forceful from a sitting secretary. “Despite the casualties, the loss of our wonderful, beautiful young troops, thousands of them over the last sixteen-odd years of combat, nothing has done more damage to the readiness of our armed forces than the continuing resolutions that stop us from taking initiative, than the lack of budgetary predictability,” Mattis said. Congress recently agreed to put the government under a continuing resolution through Dec. 10, which limits spending at fiscal year 2016 levels and prevents the Pentagon from launching new programs. This represent the 30th CR enacted over the last decade, lasting for over 1,000 days in total. And it is unknown if regular budgetary order will return on Dec. 10 or if major issues, such as funding for a border wall sought by President Donald Trump or attempts at modifying health care and the tax code, will create more roadblocks. “We have got to move with the Congress, and the Congressional leaders are calling for this, toward passing the president’s budget towards lifting, removing the defense caps … so that we maintain our competitive edge. Otherwise it will erode,” Mattis added. In a speech filled with support for the capabilities of the Air Force, Mattis highlighted a few areas where he would like to start investing if he can get budget certainty going forward. He also cited future global strike, close air support, global intelligence, global mobility, global surveillance and global command and control as areas where new investments are needed. Notably, Mattis said warfighters need to look beyond technology when discussing command and control and develop their own initiative, because of the possibility they will be cut off from headquarters due to enemy activity. 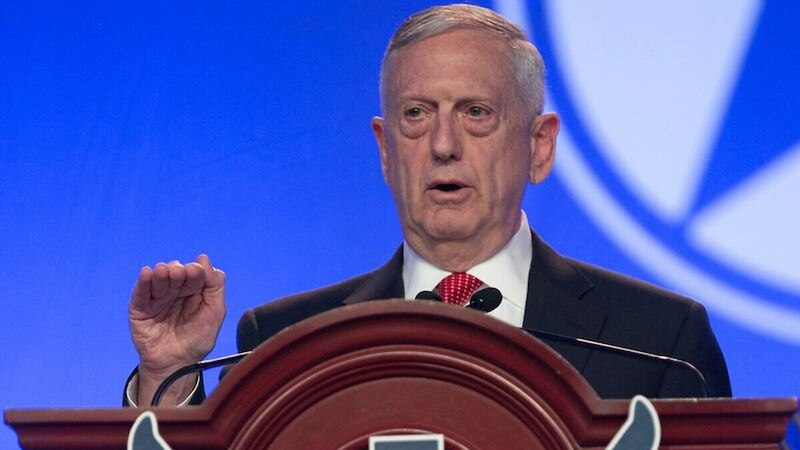 “In cyber space there are more and more, I would call it ‘attack capability,’ in the hands of enemies to take down our command and control systems than we have seen in past times,” Mattis said.